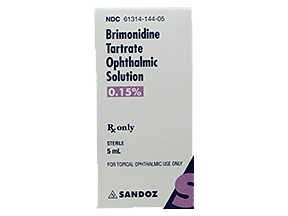 Sterile, alpha-adrenergic agonist Brimonidine Tartrate 0.15% ophthalmic drops in a 5mL dropper bottle. 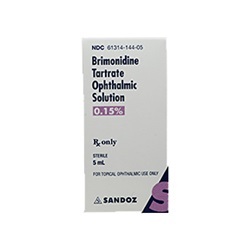 Manufactured by Sandoz. NDC Number: 61314014405. Comes as singles.